Ranveer Singh is seen with a shaved head, while Deepika Padukone and Priyanka Chopra are dressed in knight’s armors. While Ranveer plays Bajirao, Priyanka his first wife Kashibai and Deepika second wife Mastani. While the first look of the film, ‘Bajirao mastani’ did not feature the actors – Ranveer Singh or Deepika Padukone, they themselves have shared their respective looks on Instagram. Ranveer Singh, who plays the role of Maratha Peshaw Bajirao 1, looks absolutely royal. He has a shaved head with an upturned moustache, dressed in cream with a double string of pearls around his neck. Deepika Padukone, who plays Bajirao’s second wife Mastani is seen dressed in a knight’s armor, with a bow and arrow. 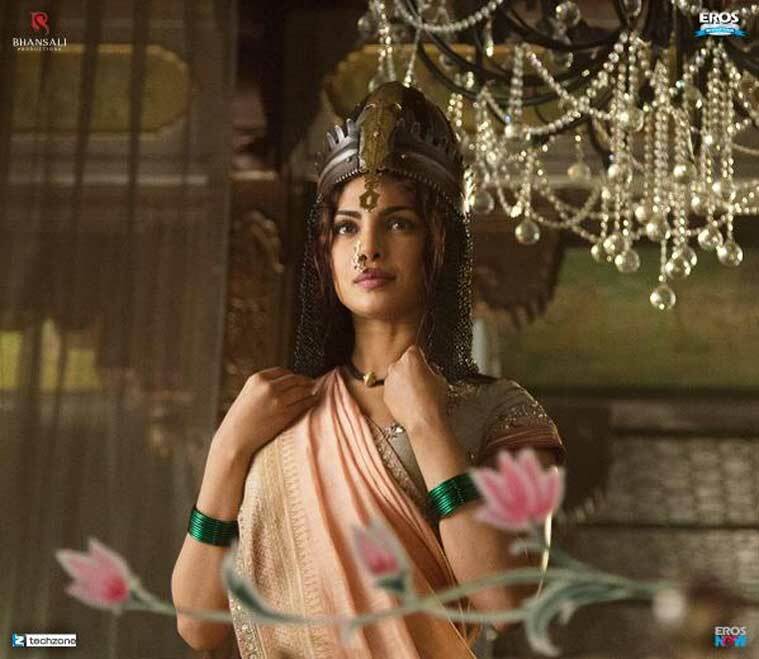 Priyanka Chopra further spills the royal glamour in warrior suit as Bajirao’s first wife Kashibai. The first look of the Sanjay Leela Bhansali film was revealed recently. The first trailer of ‘Bajirao Mastani’ will release on Thursday, July 16.